I am so excited to bring you this Pete the Cat Thanksgiving Activity (and some free worksheets to go along with the lesson!)! 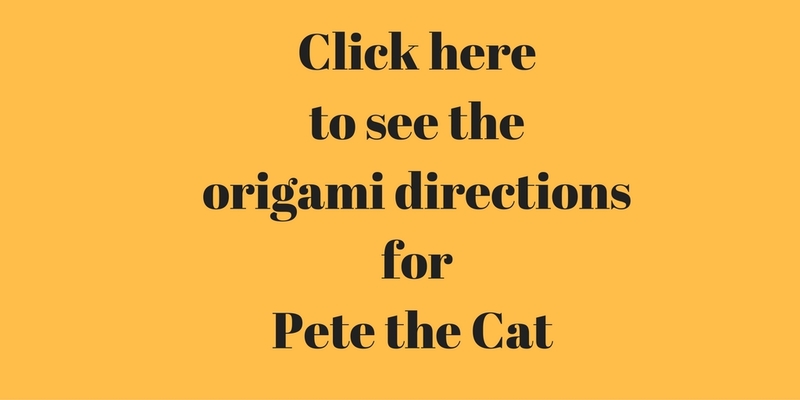 I know many of you enjoy reading Pete the Cat in the classroom or at home. 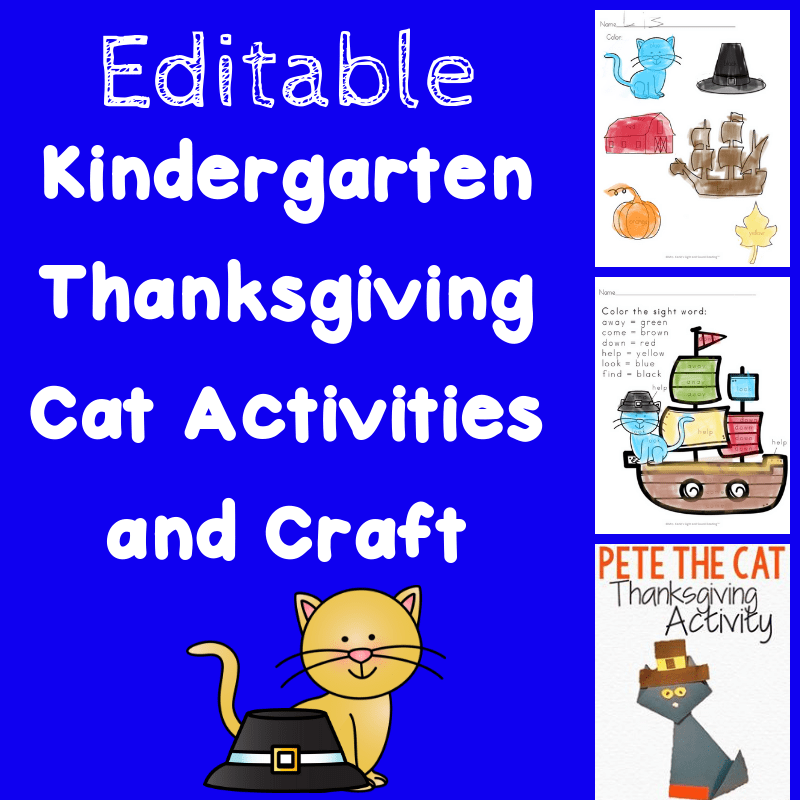 This Pete the Cat Thanksgiving Activity was inspired by the Pete the Cat books, specially Pete the Cat First Thanksgiving. This is not an official Pete the Cat -just a Pete the Cat craft that I made to go along to supplement learning using the official Pete the Cat books. 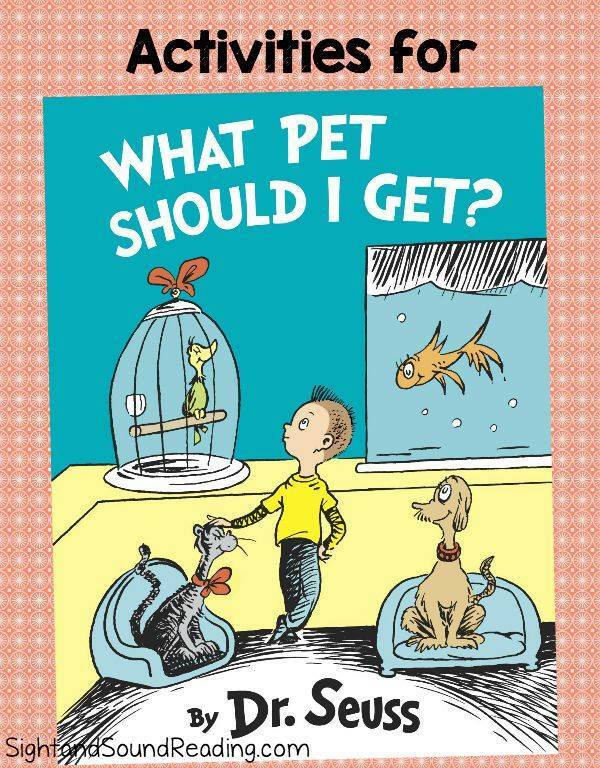 I know my kids love reading Pete the Cat too. They were super excited when they came home to see my little art project for them. 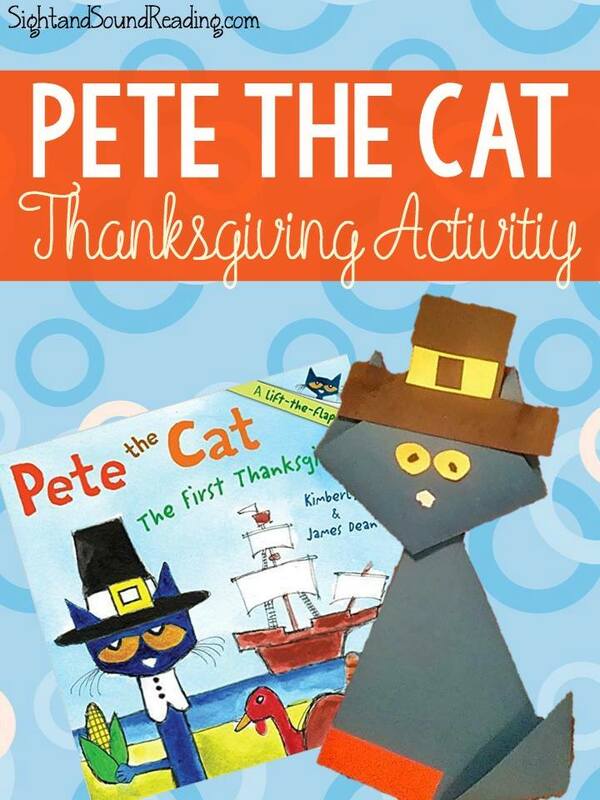 Today we will be reading the book Pete the Cat The First Thanksgiving and then doing a craft/activity. 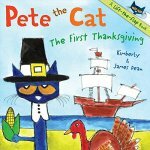 Pete the Cat The First Thanksgiving tells the story of the first Thanksgiving with Pete the Cat being one of the characters in a play. 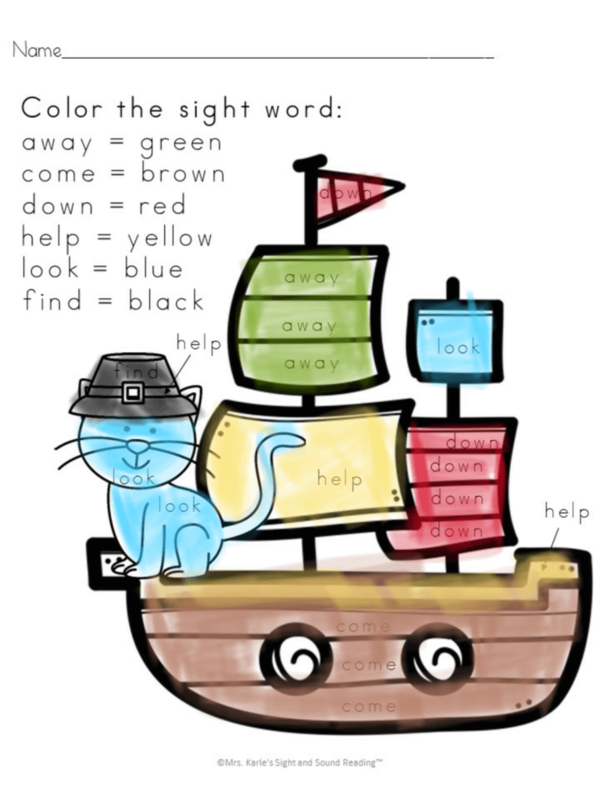 This Pete the Cat Thanksgiving Activity will work great at home or in school for teaching the details about the first Thanksgiving. It has Pilgrims coming over on the Mayflower, meeting the Native Americans, learning from the Native Americans and then having a first Thanksgiving together. 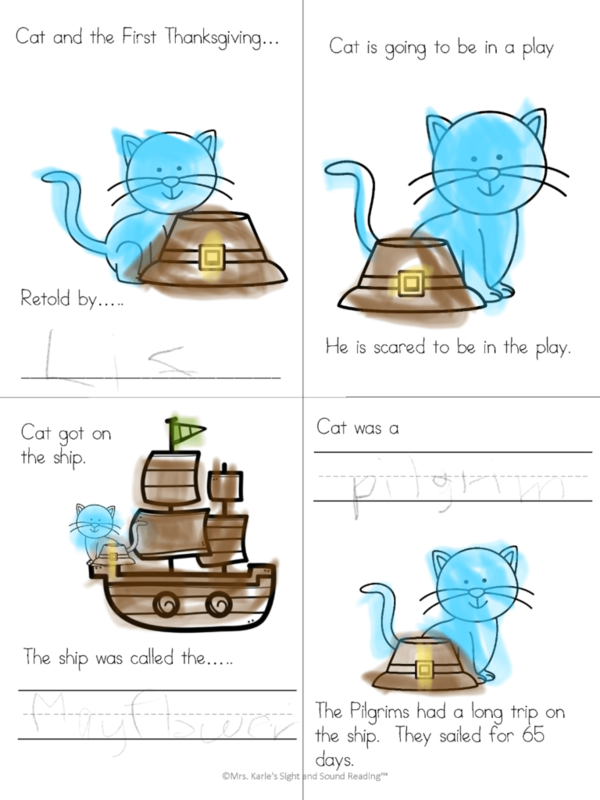 Pete the Cat The First Thanksgiving is a cute lift the flap book perfect for preschool, kindergarten or even first grade. First I got together all the supplies. 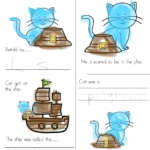 For Pete the Cat, you need to square pieces of blue paper. 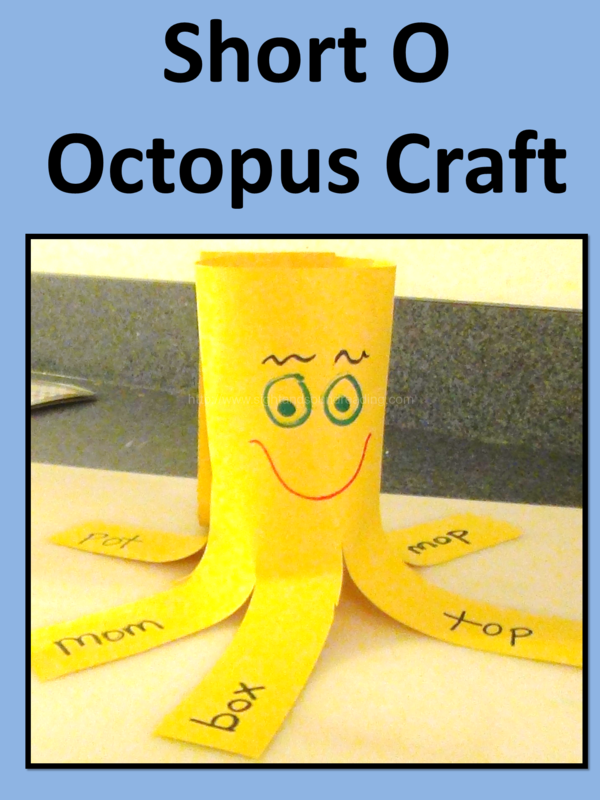 You could use regular paper, card stock, origami paper -just make sure it is cut to be a square. We used scrapbook paper - (that I cut). 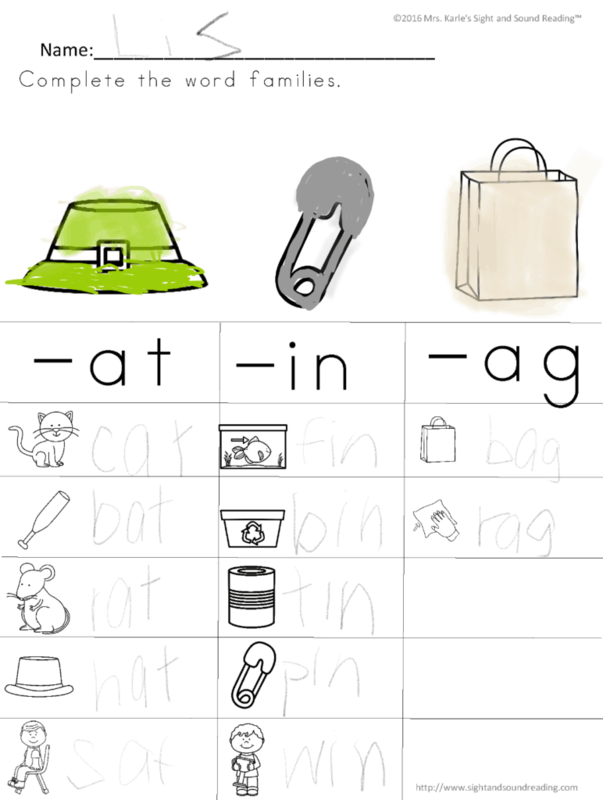 I also had other things cut out for my children so that they could paste or tape things later. 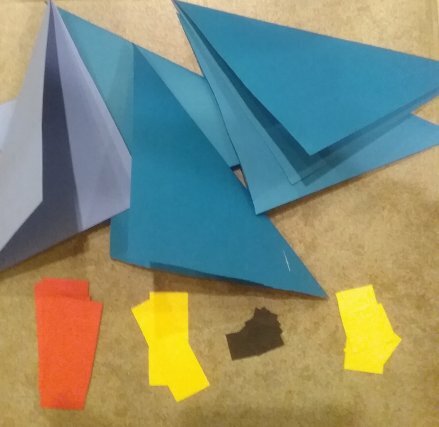 I had red strips of paper for the shoes, yellow rectangles for the hat and eyes (they had to cut out the eyes from the rectangle), I also already had cut out black hats for them - although they could have done that for themselves. 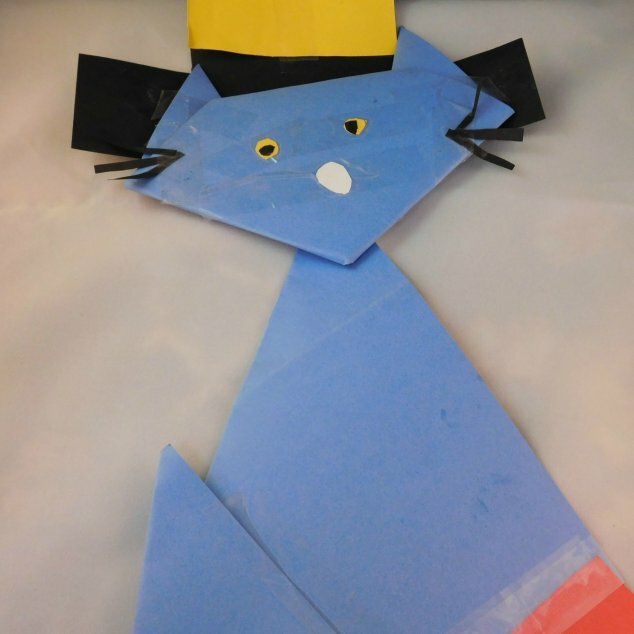 Once we folded Pete the Cat, we started to accessorize -adding shoes, hat, eyes and nose. We glued or taped everything in place. I did tape the back of ours. The scrapbook paper we used was thick and it made it easier to keep things together. After we made Pete the Cat, we put on a play! We pretended we were Pete and we sailed over on the Mayflower, met the Native American's and had our first Thanksgiving dinner. We also reflected on Thanksgiving, like Pete does in the book, and we did a Thanksgiving writing prompt. 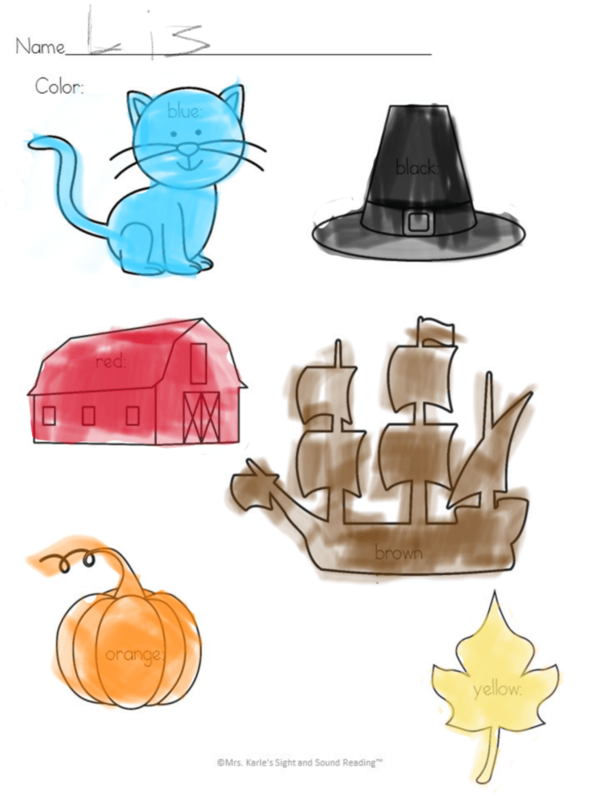 We also did some Pete the Cat Thanksgiving Activities! 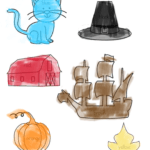 If you want a free sample pack of our Pete the Cat Thanksgiving Activities, enter your email into the form below and you will be added to our mailing list where you will find out about more fun things.. (You can remove yourself by following the directions with your freebie). If you have any trouble with your freebie, just email me at [email protected] and I will help you! That is such a fun book! Thank you for sharing such a great activity and book. I just recently discovered this adorable cat and this craft is wonderful. I babysit a little boy who has an older brother who loves Pete, I’ll have to pass this along to his mom. How fun! 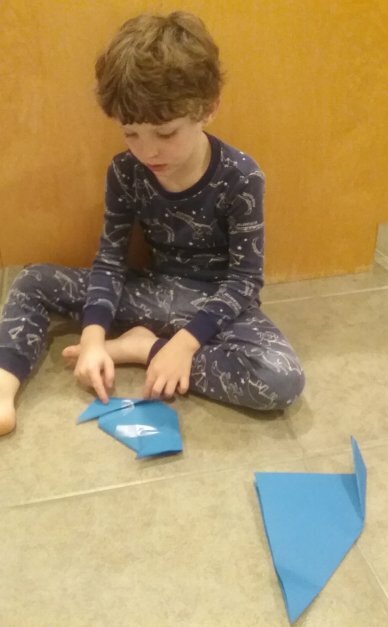 My kids love the idea or origami, but often it’s really complicated. This looks very kid-friendly! Awesome! Hope you enjoy it as much as we did. You are so welcome. Thanks for stopping by! Thanks! And…thanks for stopping by! 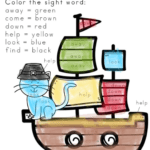 Fun book and activity! Thanks for sharing with us at the Merry Monday Link Party. Hope to see you again on Sunday! I’ll be back. 🙂 Thanks for having me…and thanks for stopping by! 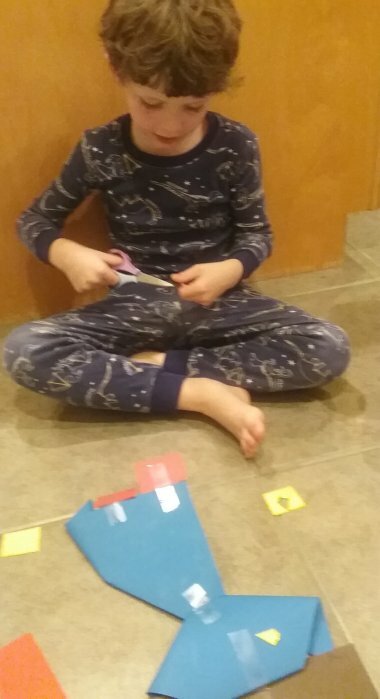 We LOVE Pete the Cat books, thanks for sharing this adorable activity with us at Small Victories Sunday Linkup last week. 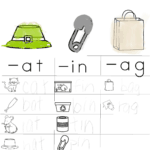 Pinning to our linkup board and hope you joined us again this weekend. Why does it say Pete the Cat Freebie but then has a price of $4.00? It should not say freebie if it costs? Thank you for sharing such a great activity for my class.